Messy Church has been running at St John’s Church for 4 yrs, we have now expanded the formula to include Messy Tots, which is a joyful venture aimed at providing faith based activities, songs, music and messy fun for pre-school children and their accompanying adults. It is professionally run by a qualified team leader and a number of our volunteers are former teachers and play leaders. 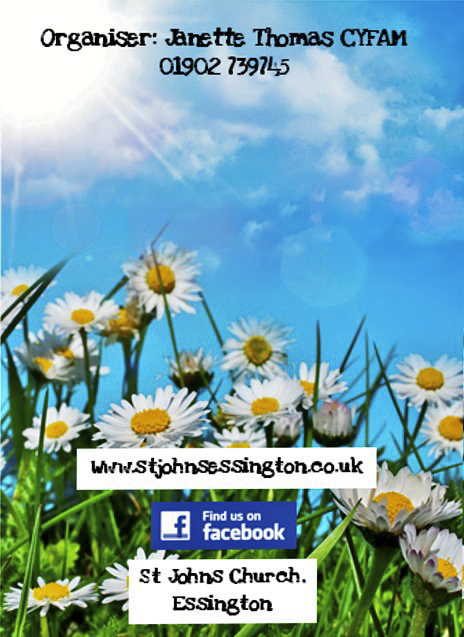 The sessions run from 09.30- 11.00 hrs every Friday at St John’s Church and end with drinks and snacks. As our numbers increase, I would love to recruit willing volunteers who would like to join the rota of helpers for Messy Tots. I organise and run every session and provide all the resources but I do need extra pairs of hands on the Friday sessions. So, if you are a mum or dad with children at school, looking for work experience, trying to get back into work, trying to find something you are good at, if you are trying to build a CV which is a bit empty right now, or you may even be retired like me, why not consider becoming a ‘voluntary play leader’ with us. It can be short or long term, every week or once a month, we will happily accommodate any help you offer us. and training, a lovely working environment and lots of messy fun …. plus, maybe, experience for that all important CV. You must be able pass an enhanced CRB check. Click here to see pictures from recent sessions.